It’s not just the widely acclaimed Conan the Barbarian and Savage Sword of Conan comic books from Marvel that features the fierce Cimmerian. Conan is a key character in the new series Savage Avengers. Here, he joins the likes of Venom, the Punisher, Wolverine, Elektra, and Brother Voodoo. Writer Gerry Duggan calls it “an unsanctioned team of heroes” in an interview with EW. Duggan, who’s also writing Savage Sword of Conan, says he’s had fun with Conan and the fact that he comes from another time altogether. Read the full interview over at EW. 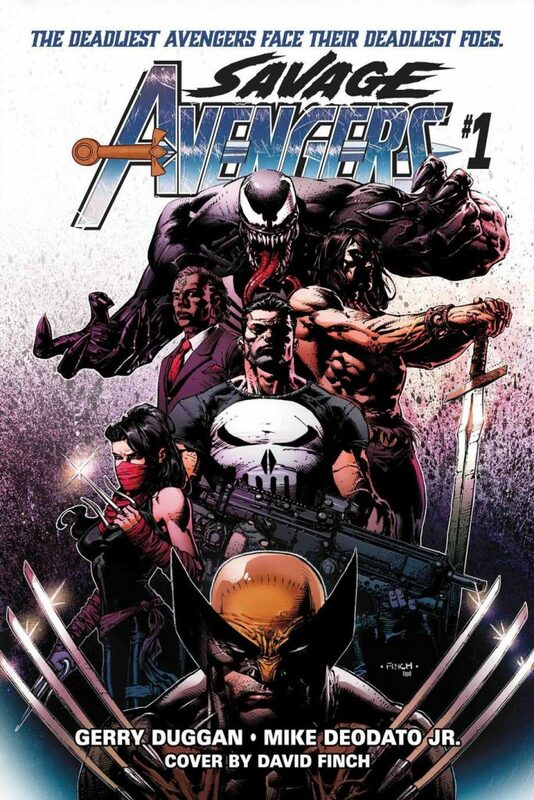 The cover for the first issue of Savage Avengers, due in May, is drawn by David Finch, and looks suitably savage.